Lana Lopesi is a multidisciplinary artist based in Auckland, New Zealand. She is with an interest in social practice and print media. Moreover, she is a writer, contributes her writing to Pantograph Punch, E-Tangata, and Art New Zealand. She is the co-founder and editor of #500words, a website which publishes critical discourse on art and culture. Recently, she joined the ST PAUL St Gallery as a curatorial assistant. 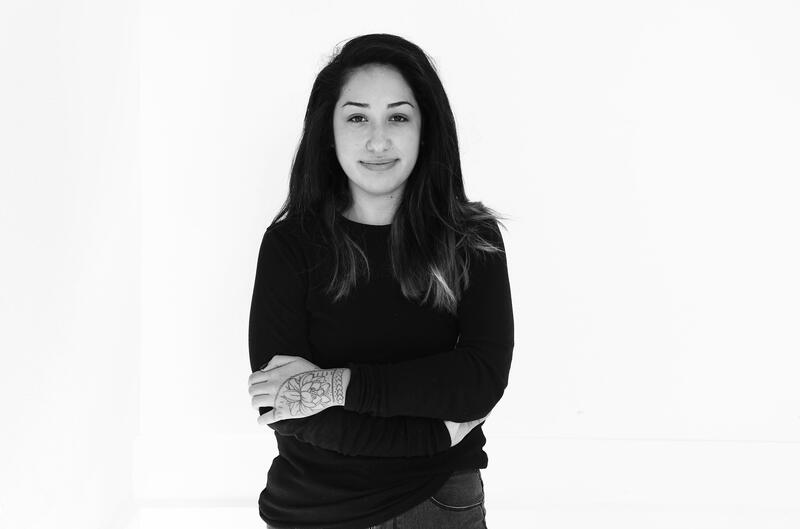 Lana’s work often explores issues of indigeneity, diaspora, and indigenous communities with an interest in the cultural exchange that occurs via migration. She had a residency at Treasure Hill/ Taipei Artist Village, Taipei on an Asia New Zealand Foundation. 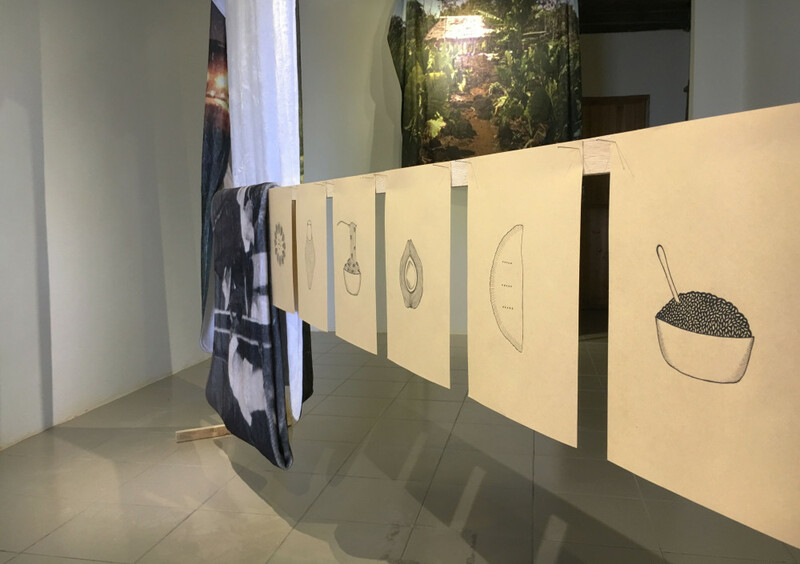 In the solo show “Work Song” at Treasure Hill, Lana used the history of food, to explore the connection between Taiwan and Pacific. The dispersal of food groups not only happened during the Austronesian settlement of the Pacific Islands but also later in the 19th Century through multiple movements of indentured labour. Chinese, Japanese and Indian communities were recruited to work in plantations such as sugar, copra, cacao, coconut, and taro in the countries of Samoa, Fiji and Hawaii. Long term settlement of these labour forces completely changed staple diets across the Pacific once again. Through this email interview, we talked about how does she handle the local knowledge and deal with the local context. And talked about the shared exchanging historybetween Asia and Pacific under the exploitation. Would you like to introduce to us the Admixture project? How was/is this project growing? 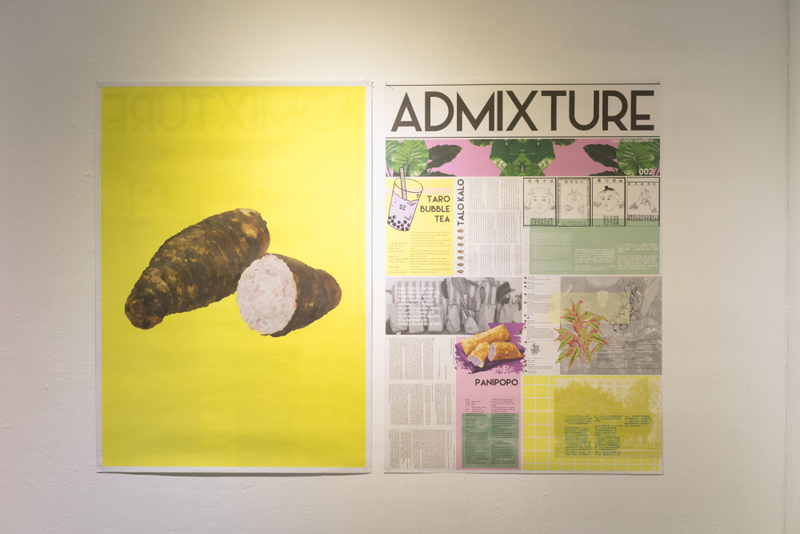 The first issues of Admixture, issues 001 to 004 were made in Taipei. I designed it to be the open-ended thing that could consist of hundreds of issues throughout my career or just those 4. They are complete in themselves but also sit within the wider conversation that is about indigeneity and non-imperial ways of being. I am currently working issues 005 to 008, these will be made in Auckland and I will centre the conversation on a dialogue based in New Zealand while of course situating that in what is happening internationally. 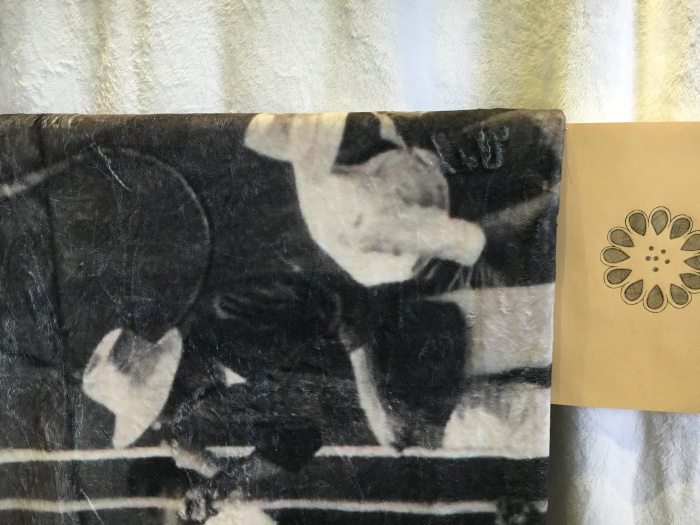 They will be released at an exhibition curated by Leafa Wilson at Waikato Museum, Hamilton, New Zealand. 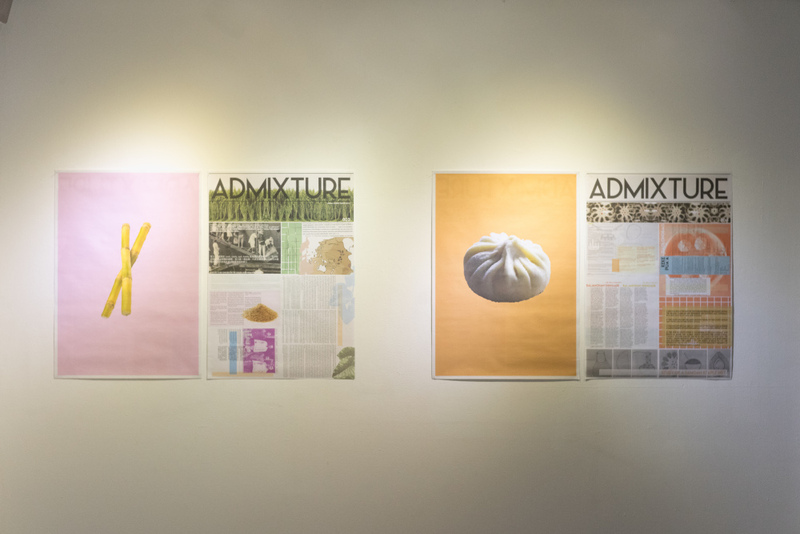 In Admixture 001-004, there are 4 kinds of food on the topic, they are coconut, taro, sugar cane, keke pua’a/ xiaolongbao. How did you choose that food? Before came to Taiwan, you’ve already done the research about the common food between Taiwan and Samoa? I had already done research before I got to Taiwan and had made these discoveries about food. That’s why I came to Taiwan in the first place. The form of the publication you made in Taipei is fun. Some are written by you some catch from the other ready-made texts! Cool! I want to know why you chose the framework that readers have to turn the paper several times to read the texts? 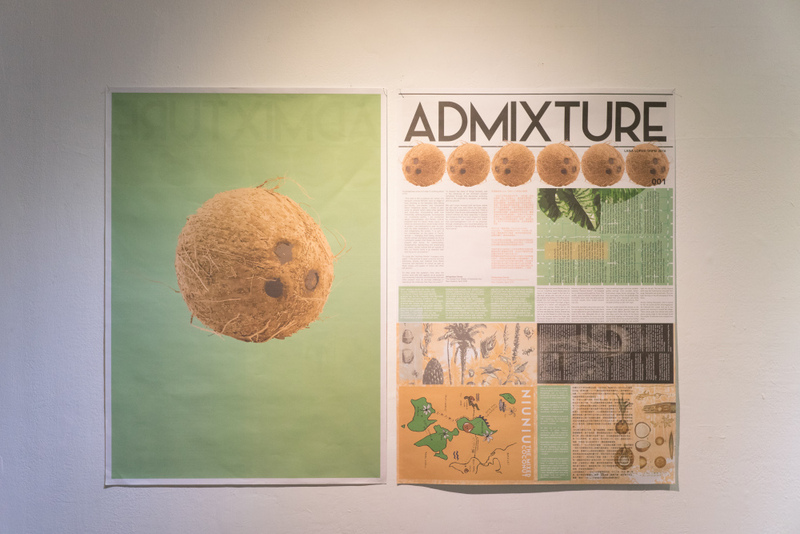 Admixture is made as a publication that can be a number of sizes. It can be A0, but you can also fold it to be A4 size. I placed the texts in a number of ways to break up there just being sold text. It gives the ready a break, they can choose to read the whole thing or they can choose to just read sections. About the texts, most of the texts are in English, few with Chinese translation. Is this for the editing reason or for the limited time ? Did you consider to translate the whole texts into Chinese or another language? With the languages, I was interested in not prioritising any one’s knowledge. So it includes English, Chinese, Samoan and Chamorro. There is no one I know that can read in all of those languages even me. I can’t read the Chinese sections even though I know what the texts mean in English, I’m not sure how well those ideas are actually being translated into Chinese because I can’t read it. University as we know it tells us that we have a right to access all the information we want to right now, but that’s not true. Cultural knowledge is a privilege and every culture has the right to protect that knowledge from outsiders. We have to realise that when someone says no we can’t know that information that that’s okay. I think in the modern world where we can read any book or look up anything on the internet this is a very difficult concept to come to terms with. We wonder to know, what’s the process did you build the connection between the local knowledge and the Others (the others in Taiwan, Samoa, New Zealand, and other places you have worked at)? Between the different places, what’s your method to approach and deal with the new contents/contexts? I go to places that I already have connections, places where I and where my art makes sense. I am Samoan and live in New Zealand so those contexts both are natural for me they are homelands I guess. When I think of Taiwan I don’t think of the Taiwan we know today which speaks Mandarin and is so heavily influenced by China and Japan I think of Indigenous Taiwan. I think of a Taiwan that sits in the Pacific Ocean and people who are not connected to Asia but connected to the Pacific. We know through science and anthropologic research that Pacific people descended from Indigenous Taiwanese. So I also see Taiwan as a homeland – the ancient homeland. In Taiwan, I knew it would be hard to connect with the Indigenous community they way I wanted to. To have a genuine connection you need to have trust and I only had 3 months of to do it. So I didn’t try, I did my own research. Before I knew it people had connected with me. I was connected to TITV and Walis Labai (Sideeq) and so that’s how I became connected in that context. When you are researching and your research involves people you can’t just enter into a context and expect to be welcomed and to receive knowledge. You have to understand that people need to trust you and you need to give something to them as well. And also that they have the right to say no, and that any information you receive is a privilege, you are privileged to receive it. If there is anything call ‘enlightenment’ for you to notice the Oceania What’s the background inspired you started to focus on the Oceania cultural movement? (Is that ok if I call your works are also one kind of cultural movement?) And how was your research journey changing to now? I am Pacific, that’s who I am, it’s not a research topic, it’s just me. I wouldn’t define my work as a cultural movement but more an attempt to highlight the similarities cultures have outside of colonization. Indigenous communities are constantly battling against dominant worldviews and so what I try to do is to remove the dominant world view from my work and find these connections between places like Taiwan and Samoa so we can start having more direct conversations between ourselves. I mean, for example, in my experience, in Chinese community usually people won’t talk about the ‘Chinese’, they are just living in it. ‘Chinese’ seems like an ethnic term to explain to the outsiders, a way to perform themselves to the ‘audience’. I wanted to ask does this kind of process happen to you? To (re)present the issue of identity in art system, for me it has a political position, it has the intention to change people’s thinking, awake audience’s consciousness of identity. That’s why I think this would be one kind of movement. I want to ask about this process, what kind of situation made you wanted to show the connections between pacific and Taiwan/Asia/New Zealand and other similarities cultures? What’s the context or environmental background behind your research? I completely agree the way we name and understand the world is completely framed by empires and discoverers. When people discovered the world they gave countries/people/regions names that have no relevance to the people themselves. For me connecting Taiwan/Asia/The Pacific is about breaking this down and asking people to think more about how we structure the world, for example, why do we separate Asia and The Pacific? Who does that actually benefit? From the interview made by TITV, you talked about to make an accessible way to communicate with the different audience. Then, what’s your exploration of the audience in Taipei? 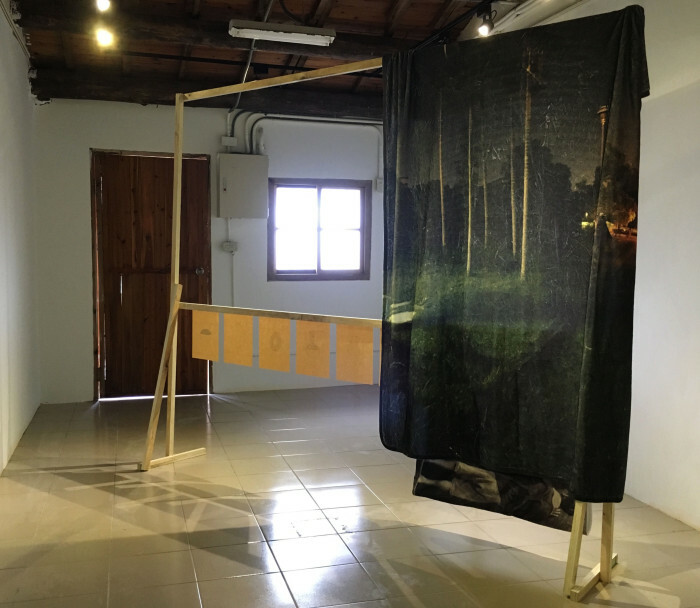 What kind of reason push you to chose those media (publications-poster, fabrics, photos…) in your solo show at Treasure Hill? I wasn’t in Taipei long enough to be able to establish an honest or worthwhile connection to my audience. That is kind of thing that I think takes years not months. So making publications that can be sent to people and shown to people after I left was an attempt of connecting with an audience after I am gone I knew I couldn’t achieve what I really wanted to, so this was an optimistic way to do my best. I read the text ‘pacific islander’ on the paper (edition of Taipei), the dialectical thinking about the ‘identity’ is interesting! Would you like to talk more about the idea of this text? What’s the background to made this writing? I found this text online when I searched ‘is The Philippines Asia of Pacific’. I was interested in this because we understand the world in this continental way; Asia, Europe, Pacific, Africa etc. and for economic and political reasons world leaders find it important to define the globe in this way. But what this does is the group and separate countries creating this kind of regions, we forget about historical connections between other countries and we also start to understand the world is a strange way. This is what I see playing out in the dialogue about identity, is that each personal holds on to a very distinct reason why The Philippines should be either Asia or The Pacific despite being located in the Pacific Ocean. Personally, I think the idea of regionalism is really peculiar and what we should be looking more closely at is individual countries, that way we appreciate the uniqueness of every nation instead of lumping them together as one. What did you feel when you were in Taiwan? As you see, although Taiwan may be the origination of migrating seafarers, now is dominated by Chinese culture/ State. Maybe because it is too complex to mention in a very short time, but still wonder why haven’t you wanted to talk about it in your work? That’s funny you think I haven’t spoken about the Chinese dominance in Taiwan because in my mind that is exactly what my work is about. Why would I dominate the conversation by talking about the dominance? It makes more sense to me to subvert it, so to do this I talk about Indigenous Taiwanese. Being in Taiwan is much like being in New Zealand except the dominant culture is not Chinese here it is English. The whole point of Admixture is to look at non-imperial (imperial referring to empires which in this context is China and England) histories because these aren’t histories that people care about. So I think my work does talk about the Chinese dominance in Taiwan. How do you think/ what’s your gesture, about the globalised ‘art world’ which probably has some typical centres -which is similar to the path of globalisation? And also, how is the way that art world helps you on the Pacific connection? I think the globalised art world is no different fro the globalised world in general. I have no problems with globalisation, great things like the internet are examples of globalisation, but in saying that we have to protect all the things that make us different. We don’t need art to focus on the Pacific, that exists already. I personally art as a really helpful vehicle to draw connections across the Pacific Ocean.